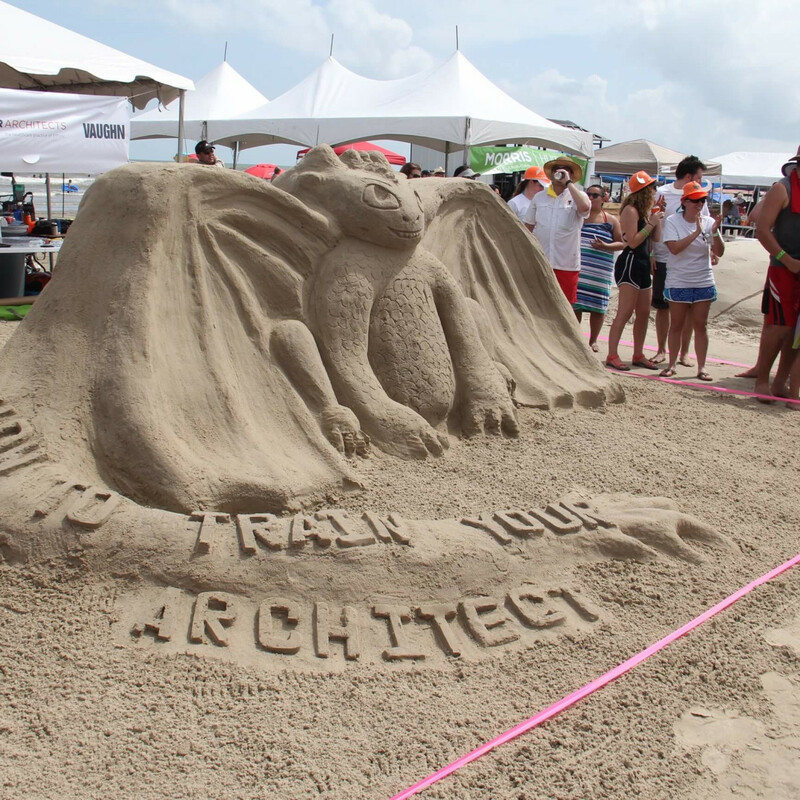 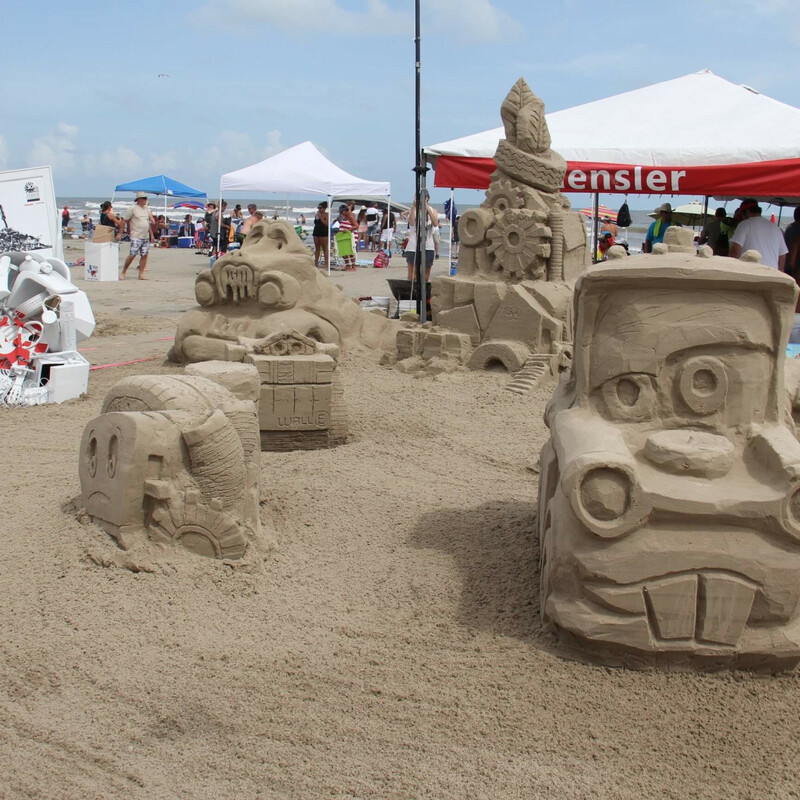 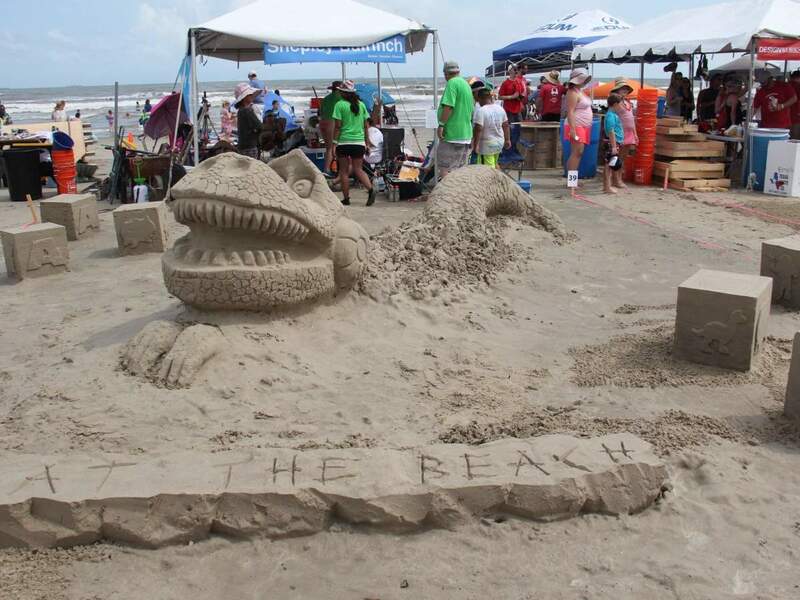 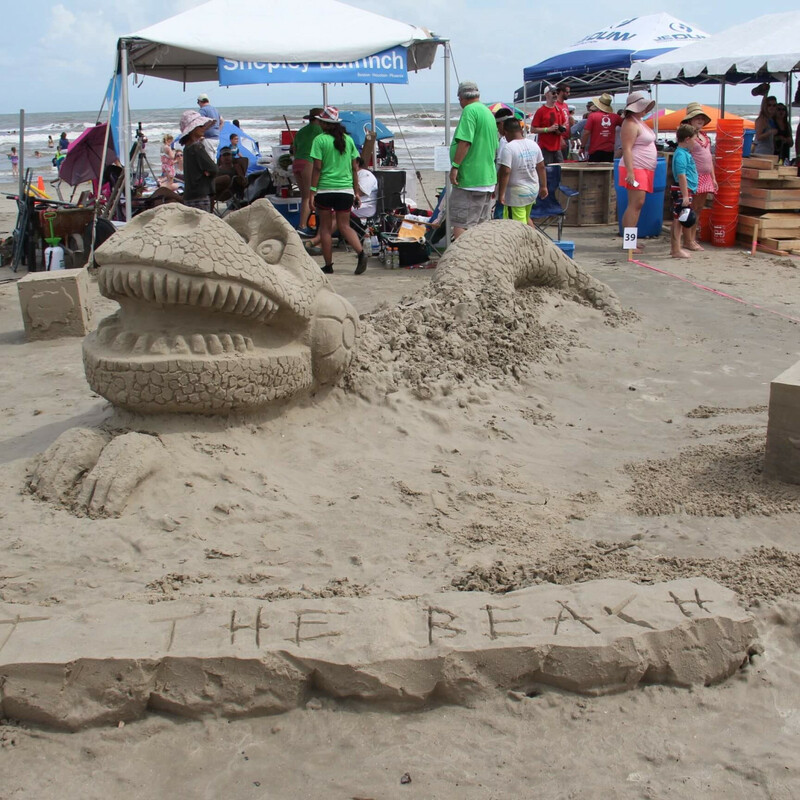 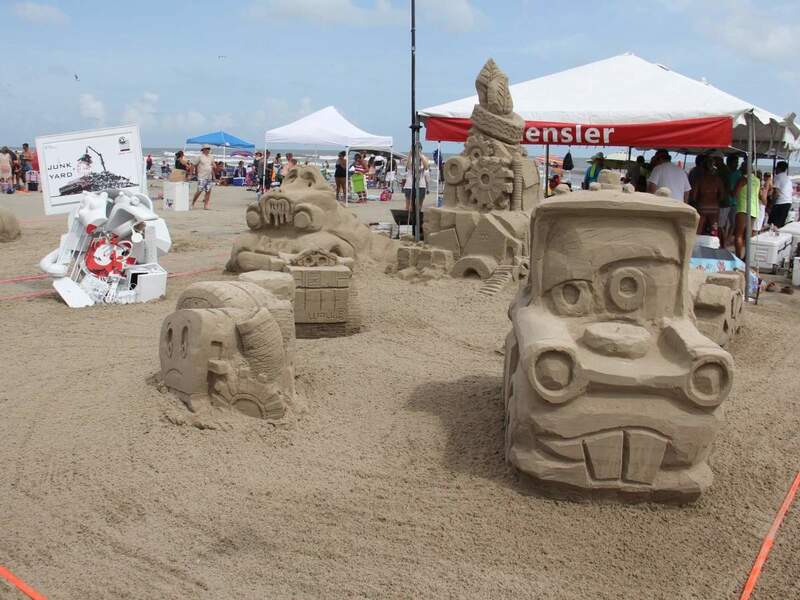 Galveston's East Beach was crawling with design talent Saturday when AIA Houston held the rain date for its mammoth sandcastle competition. 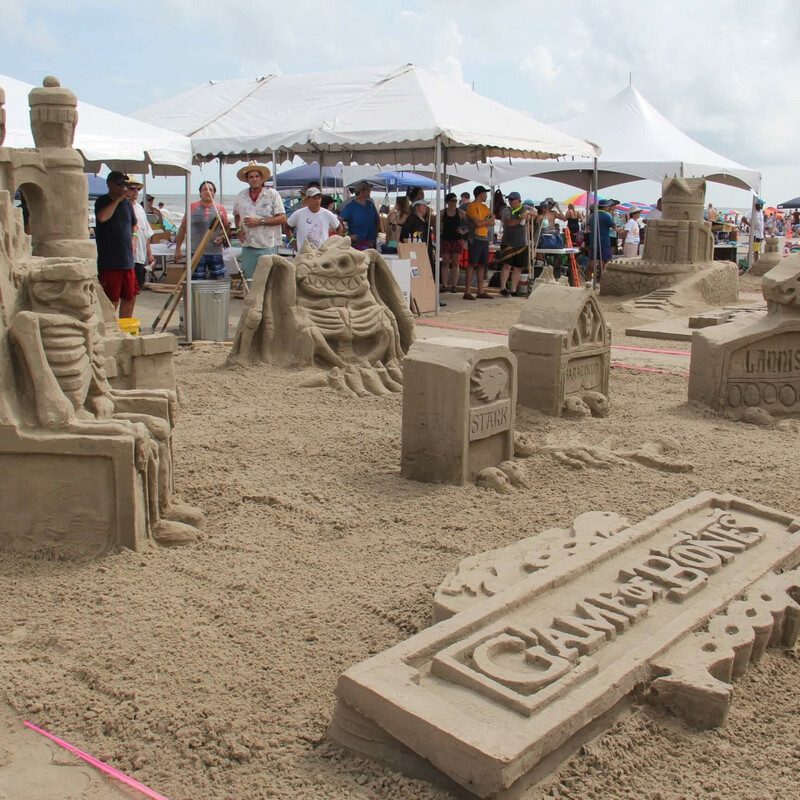 Typically held in June, flooding forced a rescheduling of the 30th annual beach bash that drew 46 teams with close to 2,000 competitors. 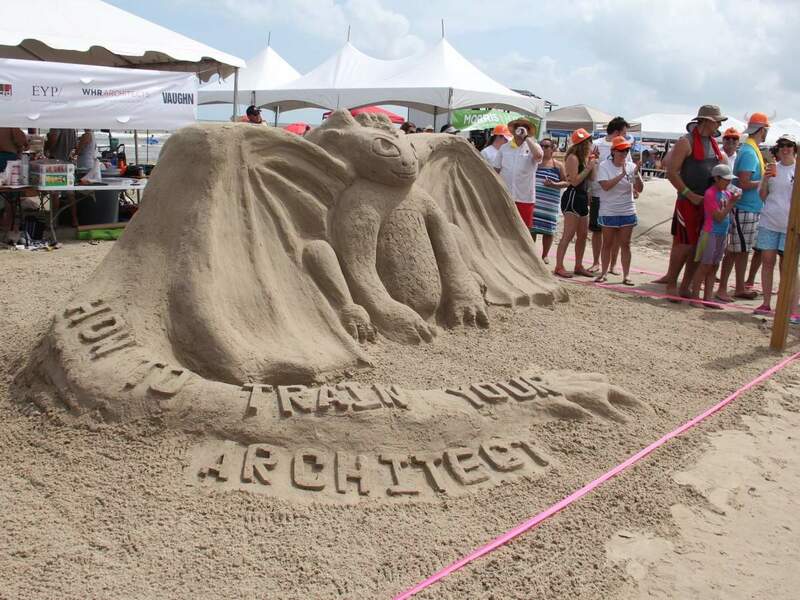 The American Institute of Architects Houston bills it as one of the world's largest amateur sandcastle competitions. 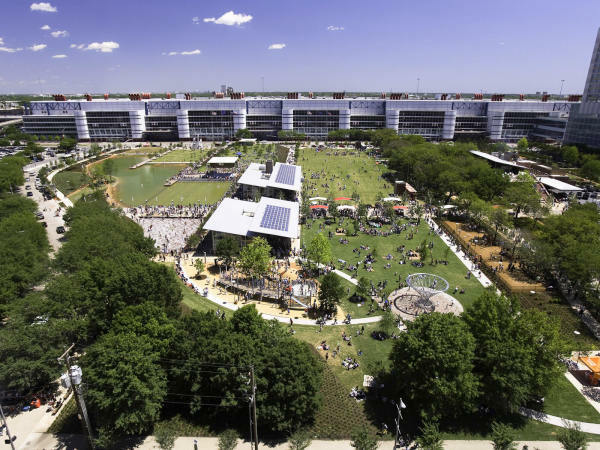 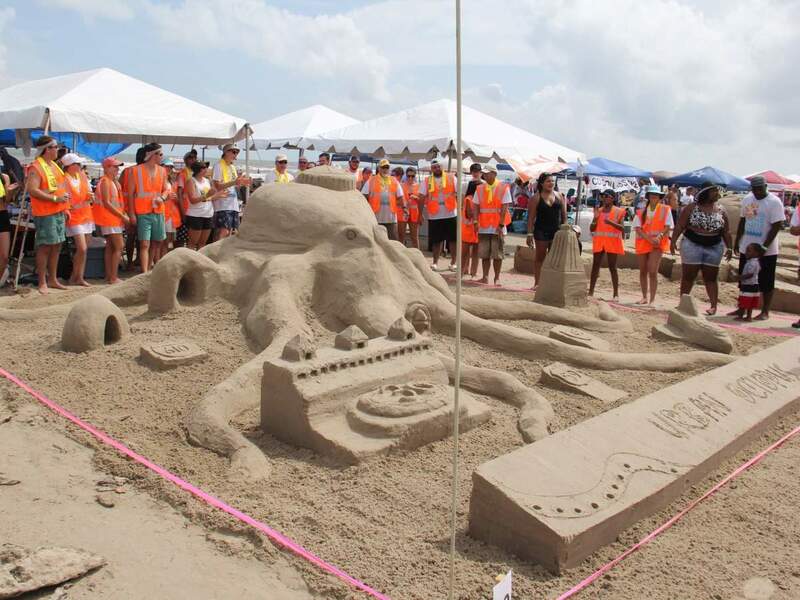 Indeed, the original tally of teams for June was 66 with as many as 3,500 individuals participating. 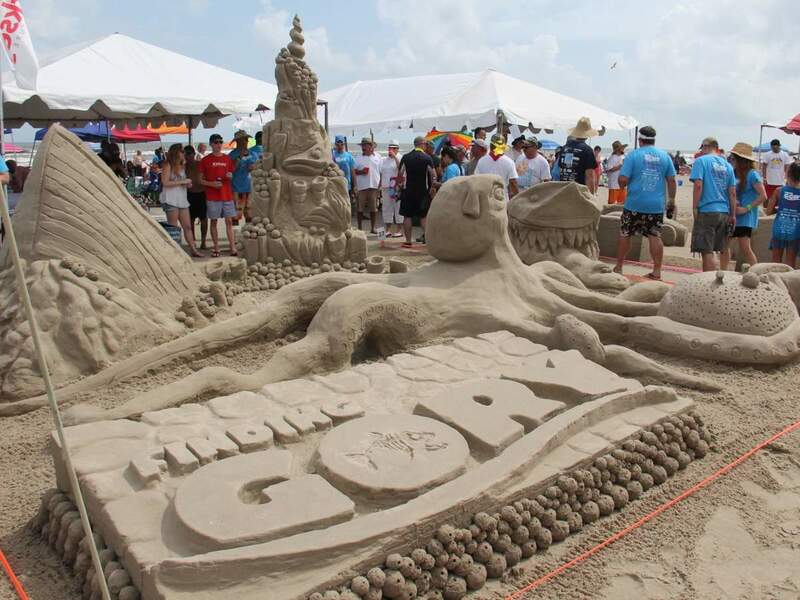 Teams range in size from as few as 15 members to as many as 100, the larger groups operating with military precision and scheduling. 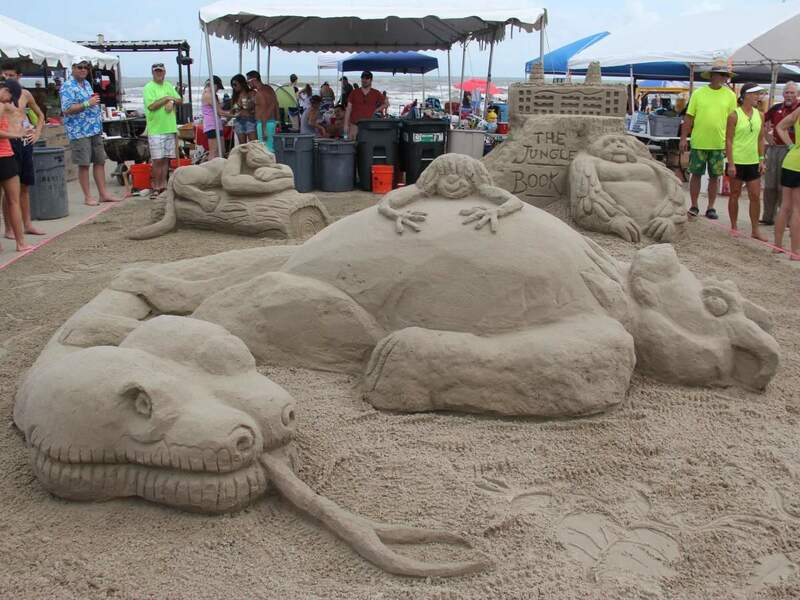 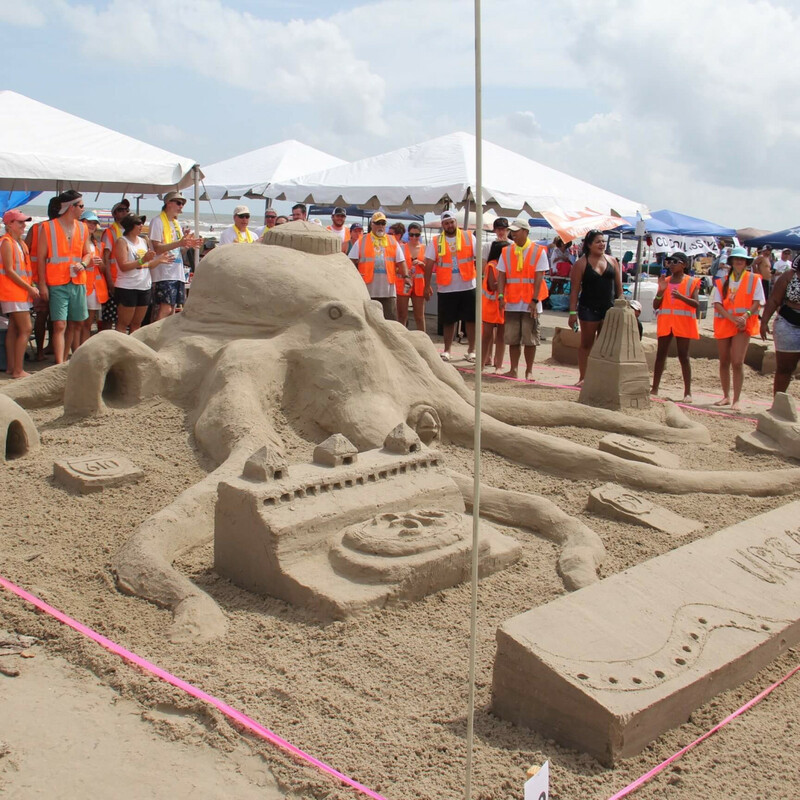 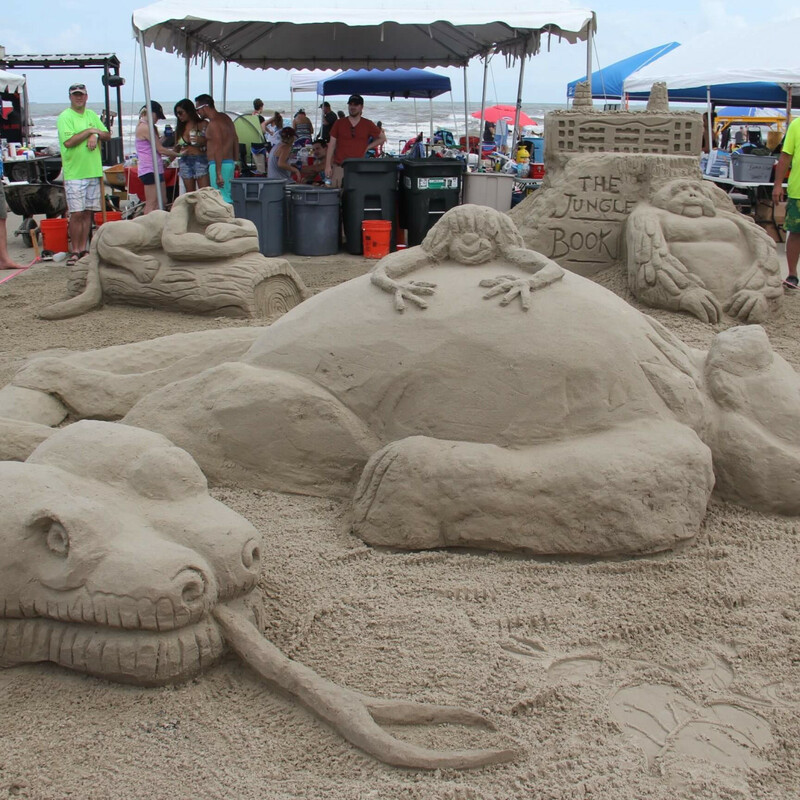 Despite fewer teams this year for the rescheduled competition, the quest to win was intense with competitors allowed five hours to complete their visions in the sand before a panel of judges evaluated the creations. 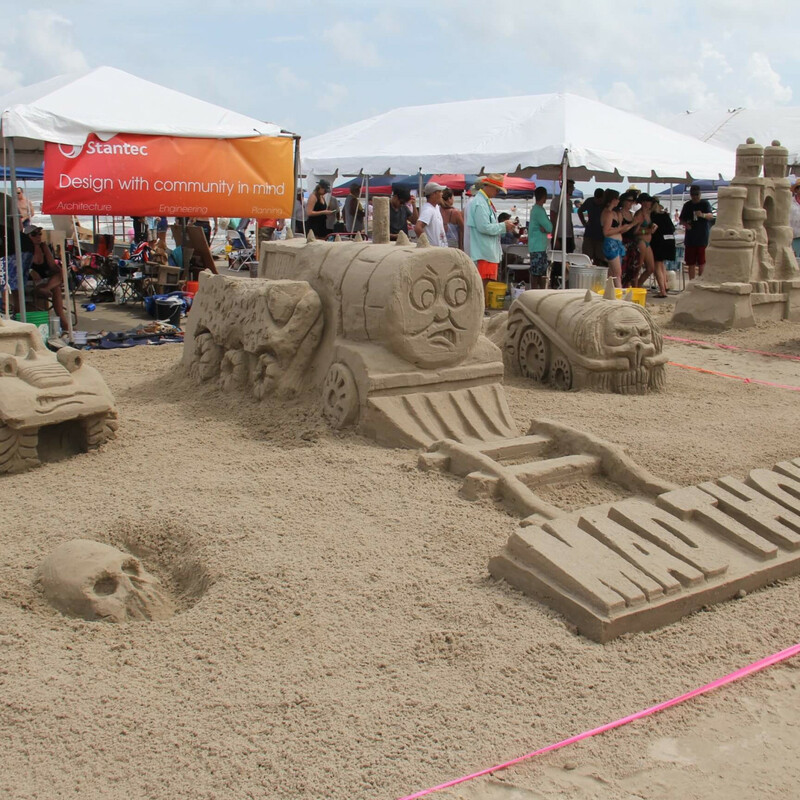 While it's serious business, it's also a mammoth party with food and drink tents and competitions that include best T-shirts, best team signage, best meme, etc. 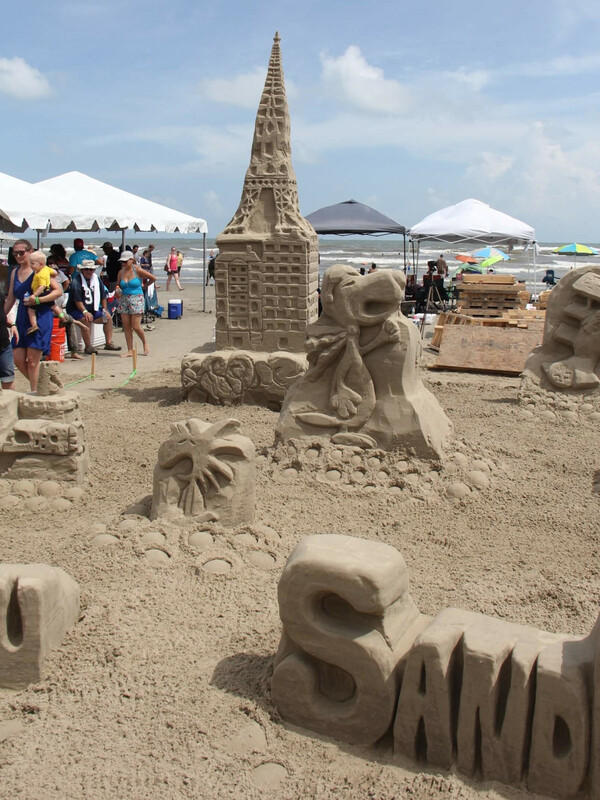 Winning the prestigious Gold Bucket honor was Kirksey with "Finding Glory." 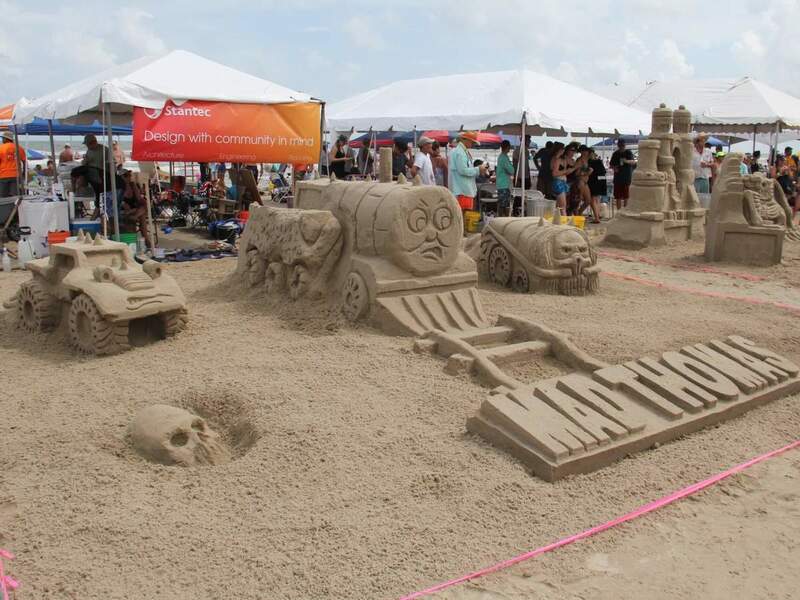 The Silver Bucket prize went to Dow SandCastlers for it's "SandNuts: Curse You Red Baron." 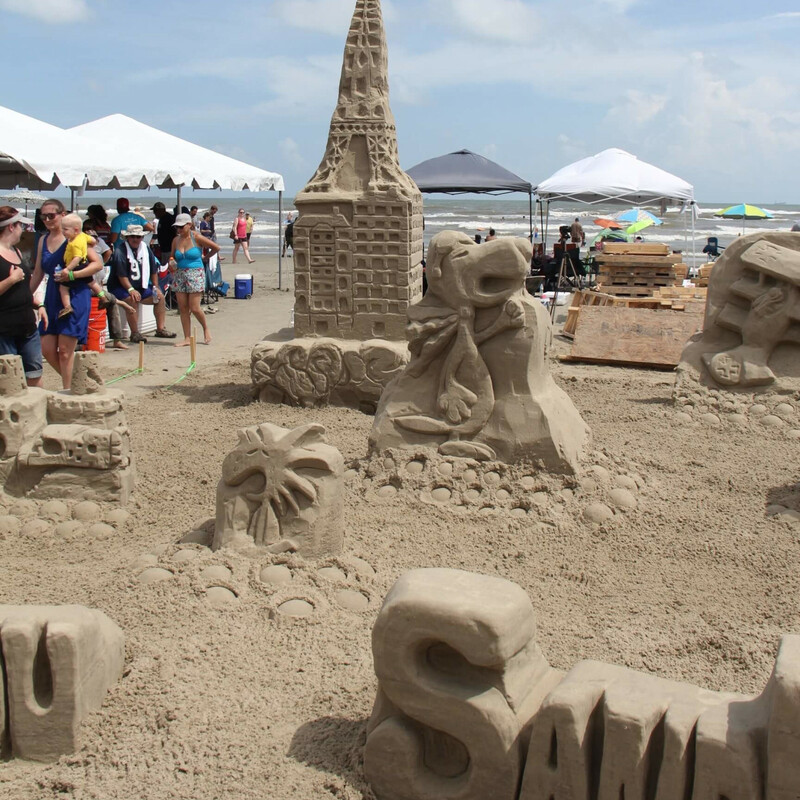 That team also won honors for having the tallest standing structure with its 16.5 foot tower. 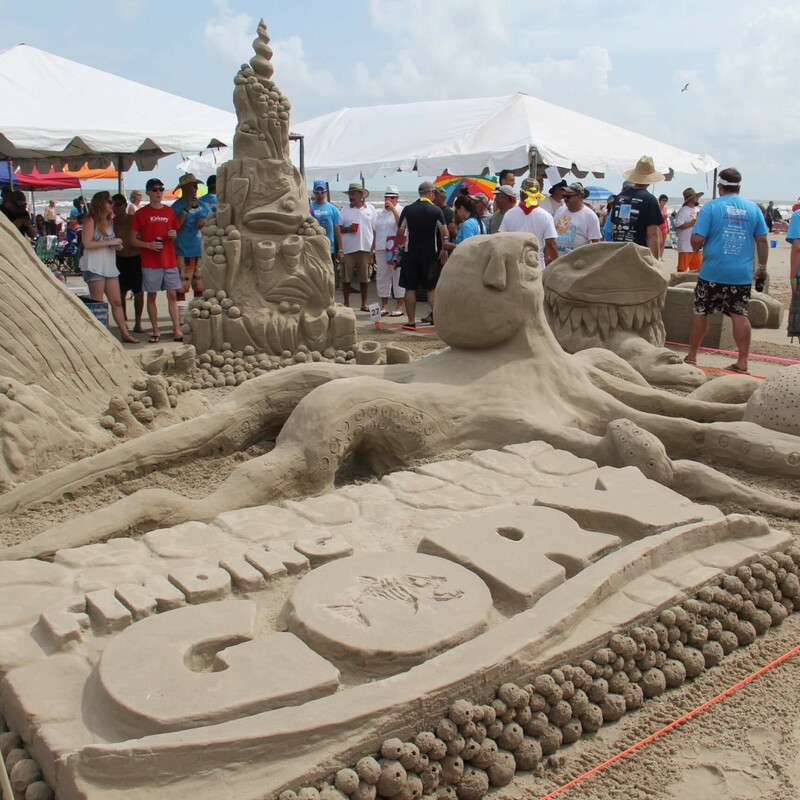 Taking home the Bronze Bucket was Gensler + Harvey with "All Your Junk Are Belong to Us." 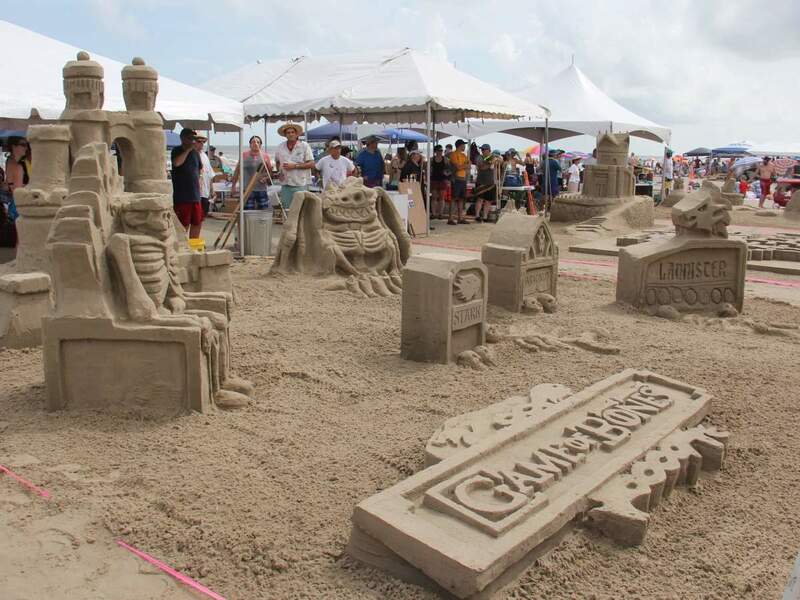 Teams earning honorable mention were Team ZCA, Page-BCI, and BGA-HOAR. 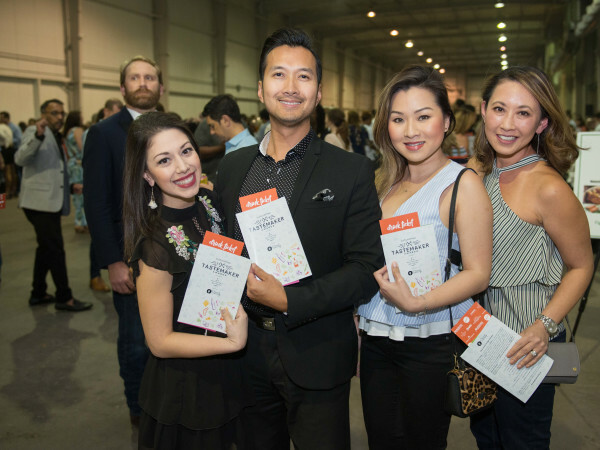 The event was co-chaired by Ashley Heitmeier and Ricardo Martinez.